We met our PARTY SOULMATE last month! Our new friend, Meng, loves to host parties just as much as the twins do! This week we wanted to share her lovely brunch with you. 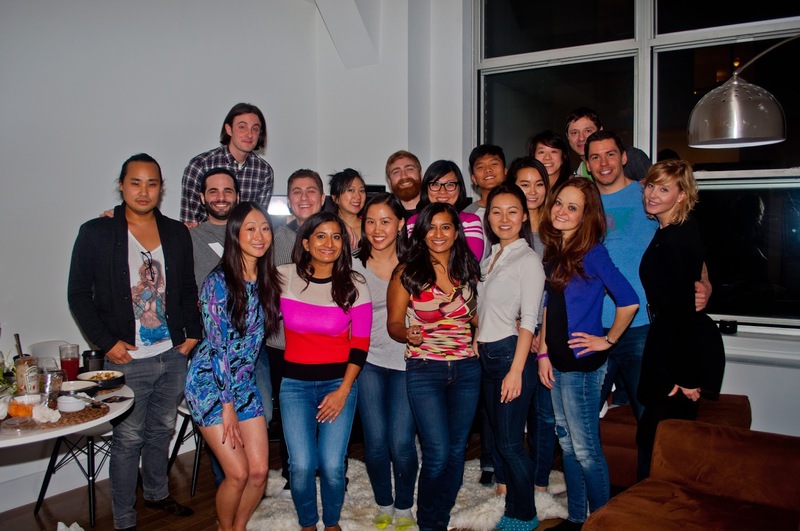 Meng hosted a delicious bottomless brunch and introduced many of us to the party game Werewolf. Brunch in New York is no ORDINARY meal. It is an occasion to feast on yummy breakfast foods in the afternoon, sip on delicious cocktails and catch up with close friends. Sometimes brunch at home can be even more fun than your typical experience at a restaurant. Meng invited a group of 20 guests to her scrumptious brunch. For large parties, we recommend making scrambled eggs in several large batches. This works well too if your guests arrive at different times. We also suggest adding muffins or banana/pumpkin bread to your menu since these baked treats can be prepared in advance. 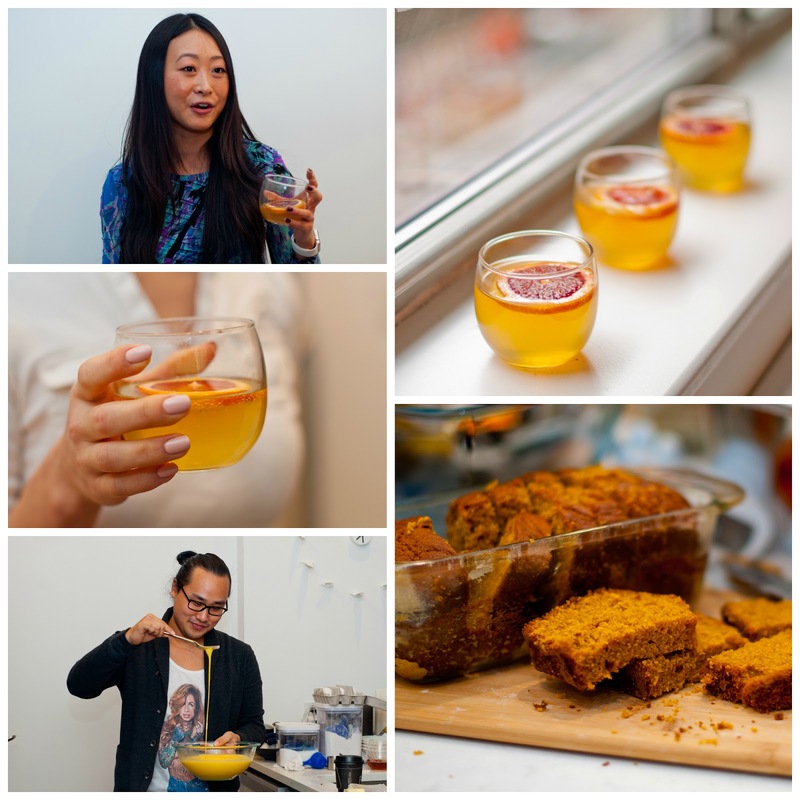 Archana served as guest bartender and mixed passion fruit bellinis and bloody marys for guests. Remember to add a fruit garnish to each cocktail! 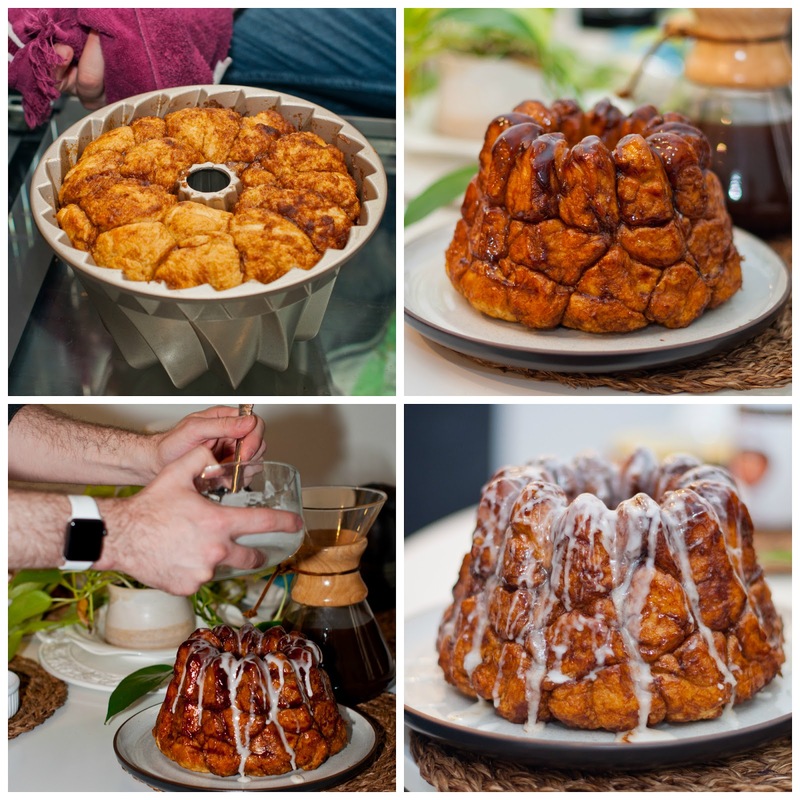 Everything was delicious but our favorite item on the menu was definitely the monkey bread. Each bite was moist with just the right amount of sweetness. Lucky for us, Meng shared her recipe! After brunch, we played Werewolf for the first time. This is a game about “accusations, lying, bluffing, second-guessing, assassination, and mob hysteria.” It works really well for a large group. The moderator divides players into two secret teams: werewolves and villagers. The werewolves must kill all of the villagers before being discovered while the villagers must identify the werewolves and vote to lynch them. The first time you play this game it can get confusing but once you get the hang of the game – it is incredibly FUN. We can’t wait to play it again. 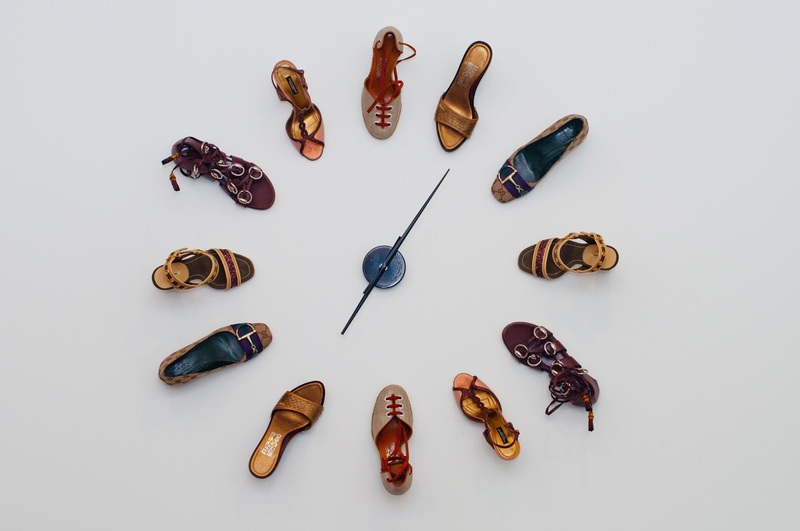 One other thing we loved at Meng’s apartment is her FABULOUS designer shoe clock- isn’t it amazingly TWINSPIRATIONAL? “I’m not afraid of werewolves or vampires or haunted hotels, I’m afraid of what real human beings to do other real human beings”––Walter Jon Williams. Previous Post Eat, Drink and Be Mine!